Quality noise-cancelling headsets are rarely cheap, but the technology has been permeating in the consumer space long enough to make the purchase less of a rent payment and more of a thoughtful investment. Bose, Able Planet, Sony, Audio-Technica, Beats by Dre -- all the major audio players nowadays have at least one, if not several noise-cancelling offerings. To see Astro Gaming enter the fray brings about feelings of excitement and apprehension, as the audio-focused gaming peripheral studio has long been seen as a leader in the gaming audio space. But noise-cancellation is a different beast entirely, and the competition is more numerous and wealthy in a segment largely dominated by Bose and its QuietComfort line. The Astro A38 Beta is currently available as a purchasable hardware preview -- a chance for the public to try Astro's forthcoming noise-cancelling headphone without paying full price. In Astro's words, "We're launching the Beta Program to give the Astro faithful early access to new products months ahead of their retail launch, at a price break that's pretty hard to beat." The Beta Program A38 hardware costs $119.99, as opposed to the $229.99 cost of the final retail release version. Again, in Astro's words, the Beta version is "95% of the way towards the final shippable product," and the anticipated feedback will help finalize that pesky last five percent. The A38 comes boxed in the same sleek, simple yet colorful packaging that Astro owners know and love. In the box: The A38, two speaker tags, a USB (male to mini-B) charging cable, and a few documentation pamphlets. Setup time for the A38's is minimal, thanks to Bluetooth and NFC -- you can use either. Pairing is pretty standard for a noise-cancelling headset: make sure BT is activated on the source device (your phone), hold the A38's power button for three seconds, the A38 pops up on your phone's display, and you're ready to rock. NFC is even simpler, as you touch your phone/tablet to the A38's and the near-field magic does the rest. 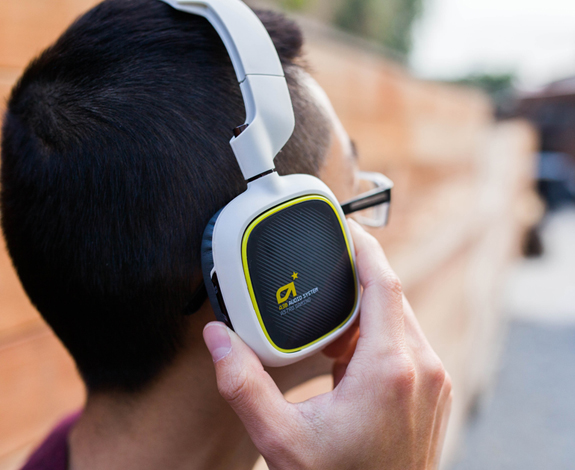 Wireless is the name of the game with the Astro A38, so there's no option to connect the headset via 2.5 or 3.5 mm connectors. USB is used for charging only, so any device you want to pair with needs to have Bluetooth or NFC on board. This definitely limits what the A38 is capable of -- using them with my Bluetooth-less desktop PC would be nice -- but they're simply not designed for desktop PC gaming. The internal battery is supposed to be good for 20 hours of use between charges, with a full charge taking about five hours. I never depleted the battery completely in my testing, even after three stints without charging the headphones after receiving them, so the real-world usage numbers should come close to the advertised mark. 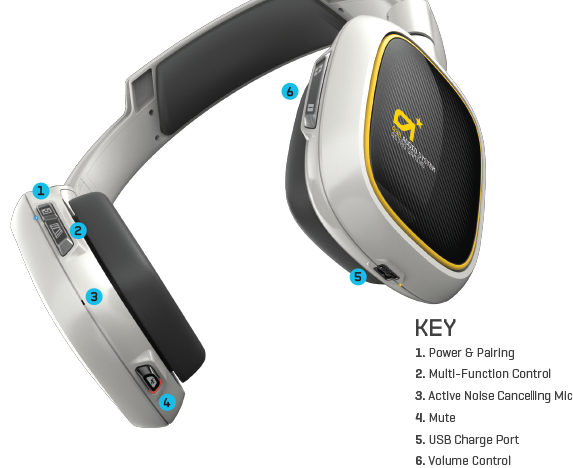 Because the A38 is designed with wireless in mind, all the controls are on the headset itself. The power, function, and mic mute buttons are on the back and bottom of the left headphone, while the volume controls and USB port sit in the same position on the right. Controlling calls and music should be familiar to anyone using a wireless mobile headset: tap once to take and end calls, or start and stop music. Longer function button presses ignore calls or go back a track, and double taps will skip forward. You can even enter airplane mode with a five-second hold.